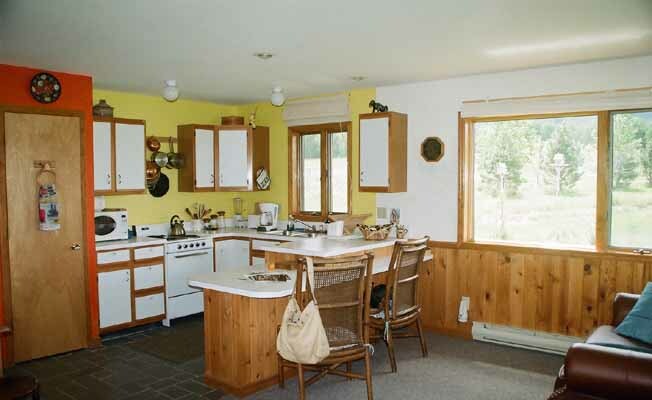 Pine Creek Cabin is a one-bedroom, one-bathroom cedar cabin on 5 acres in Paradise Valley. New construction. Fully furnished. Carpet and slate floors. Fantastic views in all directions with a view of the Yellowstone River in the distance. Setting is spectacular. Located in the heart of fly-fishing country, where A River Runs Through It was filmed. Fishing, hiking, boating and horse back riding are available in the area. Great restaurants and the famous Chico Hot Spring Resort is located nearby. Complete kitchen with all electric appliances and heating. Has wood burning stove. Furnished with antiques and a beautiful piano. Has DVD player. Full bathroom with tub. Includes towels and bedding. Queen size bed and futon available. Within walking distance to Pine Creek Store and Restaurant. Also at http://www.vrbo.com/167715 and http://www.homeaway.com/vacation-rental/p395471.